zodiak is calm, cool, collected and shamelessly witty. his brain is constantly ticking, working over a plan or an action that can get him from point a, to point b. the tall hessian spends his days with humour and wit- sometimes at the expense of others, always hilarious. his maw is never without a smile, and his eyes never without their sheen. his heart is light and happy; zodi has never felt the touch of misery, except for in his darkest hours as a young one. he is constantly determined to make every day the best it can possibly be, and not let anyone get in his way. his constant cheer can become annoying, but it saves him from the darkest parts of his soul that he fears to show. his past is scarred by those that came before him, his face is scarred by those who doubted him. the gentle wolf has a part of him that is incredibly hard to find, and just as hard to disguise. in stressful situations, zodiak will eliminate himself to save him the stress and pain of hiding who he once was- certainly, not the way he is now. I was born on a cold, bitter, winter's day. Much like the soul of those who birthed me, huh? You'll get the joke soon enough. From birth, my life was that of strict regime and, well, structure. Nothing went without a plan or a course of action, something that still shows in me today. I was never good enough. I was, cliche-ly enough, the last born and the smallest of the litter. Now, this isn't saying I'm a tiny wolf. The pack I was born in was renowned for the biggest, most brutal wolves in the area- my litter was no exception. I had five brothers and one sister, and they all, well, hated me. My sister was probably the only one in the litter that could stand me; I think she found comfort in the fact that she wasn't the smallest, you know? 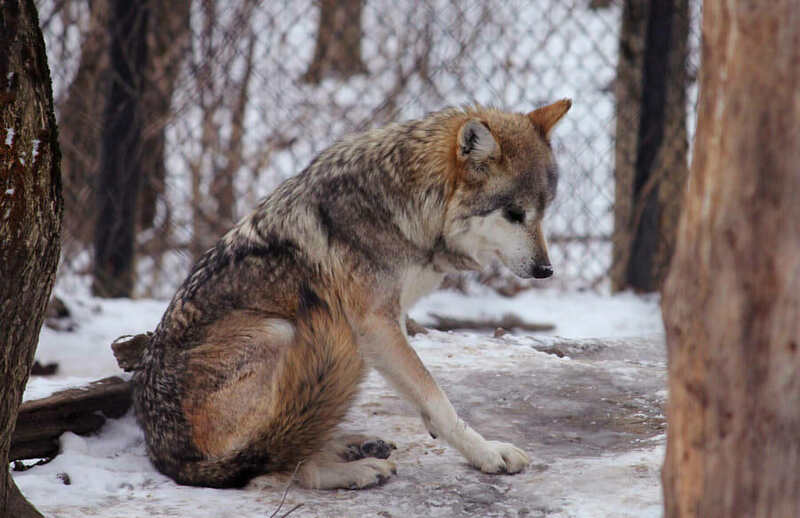 Smaller female wolves were often exiled from the pack, as they simply weren't of use. I was the alpha's son. I'm a cliche on legs, I'll admit this. My father was a very respectable wolf to all those around him, except for those who knew and felt the fear that he could inflict. He was a big guy, and covered in scars. Did I mention he was incredibly ugly? No one would love that face, which is why my mother was a desperate rank-climber that he threw away as soon as he had his successors. Us. Anyway, from the day I was born, I was pretty much a massive joke and was destined to be an omega. I got beat up quite a lot by my packmates through my early childhood, and barely acknowledged. I was more of a shadow, not really a solid being to be treated like such. I cannot tell you how much I hated it- it was the worst time in my early life. I was determined to change this. I worked my way up the ranks with incredibly hard work and as much dedication as I could muster. I spent months as an omega, picking off scraps but slowly training myself and becoming a proficient hunter and excellent warrior. I developed the muscles I was not blessed with at birth, by the time I was 2 years of age I was beating my brothers in the scuffles that they took pride in using to embarrass me. I continued to shove my way up the ranks in my pack, getting injured many times and knocked back down more times than I can count. I eventually reached lead warrior, but it was not love and respect that reflected upon my father, and my siblings. It was jealousy. My proficiency in many things made me a target of the green eyed monster. The pack respected me, and acknowledged me as the strongest wolf in the pack besides my own father. This angered my father and brothers a great deal- they couldn't stand by and let the pack runt take over. My success was all well and good for a while; my father turned a blind eye in trickery, my brothers hid their seething ways, and I made it to beta male. It was then, that I fell in love. Whilst patrolling the borders one day, I met a loner. She was beautiful. Her name was Mistique, and she was the prettiest thing I'd ever laid eyes on at the time. She was sleek, cunning and sly, and not to mention an excellent hunter and wolf. She refused to join the pack, and instead requested that she stay near the borders for her own safety. I disagreed, thinking of the way my father would react, but she looked at me with that icy gaze of hers, and I crumbled. I agreed. I began meeting Misti every day, venturing out with pathetic excuses and often stealing kill from the pack, under their noses. 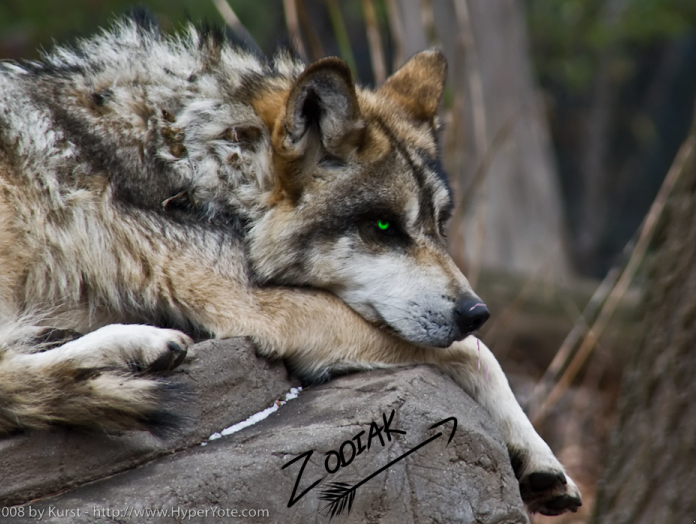 I was one of the most respected wolves- who would have known? Little did I know, I was just setting up an excuse for my family to plot my demise. I slowly fell in love with Misti, and was to become the father of pups that I had borne to her on a passionate night. Little did I know, on one of my trips to the beautiful wolf, my eldest, and most jealous, brother followed me. He was enraged at the sight of me, fraternizing with a wolf outside of the pack. He ran back to the campsite, and immediately began plotting with the rest of my decietful family to get rid of me, and my mate. I will always remember the next morning. The morning was bitterly cold, and it must have been near my 3rd birthday. I was a handsome, fully matured wolf, and ready for Misti to bear my puppies in a similar way to which my own mother had. I ventured out, not expecting the horror that I witnessed that day. Misti had grown to be comfortable, and had let her guard down. My father and eldest brother had killed her, and my dead mate and puppies lay on the ground, soaked in blood and deceased. It was horrific. I let out an agonizing howl, alerting my waiting siblings to my presence. My own father merely watched on as they set upon me, giving me the scars I have today, along with many smaller cuts and scars that are sealed underneath my fur. I fought back, but came off worse for wear. Somehow, I struggled away, away from the scene of horror that had befallen me on that freezing morning. I roamed for a long time, searching for something to fill my broken heart and allow me to heal. I quickly dropped my birth name- which was Lens, as per my eyes- and labelled myself as a weak healer. It was the only way to preserve my past as just that- the past. My scars have healed but my mental wounds are forever eternal. pelt: zodi's pelt is a deep brown, littered with speckles of darker and lighter throughout. it is rather dense and coarse, and his tail is tattered from being constantly dragged through the dirt- a nervous habit. he has two black rings around his eyes. 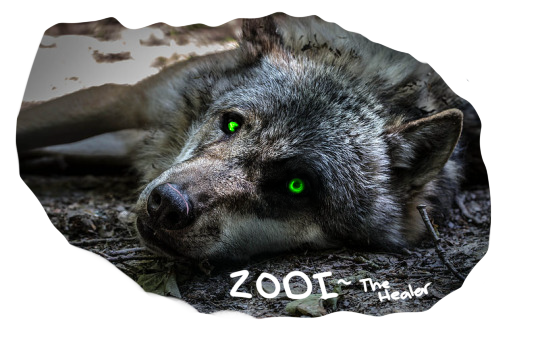 eyes: zodi's eyes are a piercing green. And Todiak is going to happen. Bc Topaz is bitter af and I love her and this is just going to happen.